Rubbish Hunters LTD is one of the best performing and fastest growing companies in the London area. The company is engaged in removal of garbage and waste clearance in London and surrounding areas. Rubbish Hunters LTD is located in North West London and there is also a company car park and the base of operations. The company have all required permits and licenses for services provided and contracts with all major garbage dump in London. That's why our customers are confident that all received waste goes in place of their destination, where will by recycled again, not damaging natural environment or other using illegal and unsuitable places. The most important in Rubbish Hunters LTD is customer satisfaction and meeting their requirements. That's why, despite all the congested traffic in London, our drivers strive to always be on time at the place of destination, provide assistance with loading, and also answer any customers' queries. 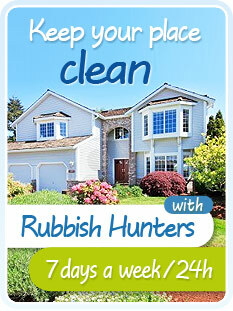 Rubbish Hunters LTD strive to provide for every customer a fully professional service of the XXI century. Because of our professional, honest and sincere approach to clients and our services offered provided us with the respect and recognition among our customers. Rubbish Hunters LTD provide services for Polish and British construction companies, hotels, offices, manufacturing companies and countless private clients. 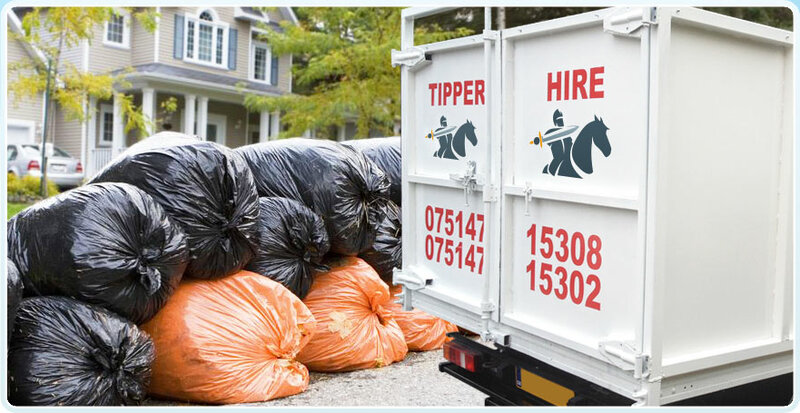 As you can see the Rubbish Hunters LTD company is synonymous the highest quality services, so that we have gained and still gaining what is most valuable - trust and satisfaction of our customers. We are proud of our work and valuate recommendations from satisfied customers.